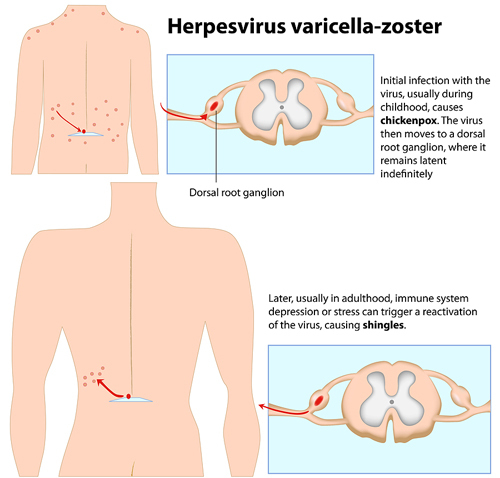 Shingles is a painful, blistering rash that is caused by the same virus that causes chickenpox, the varicella-zoster virus (VZV). Shingles can only occur in people who have had chickenpox. The first sign of shingles is often burning or tingling pain, or itch, in one particular location on only one side of the body.Before the rash develops, there is often pain, itching, or tingling in the area where the rash will develop. Other symptoms of shingles can include fever, headache, chills, and upset stomach.